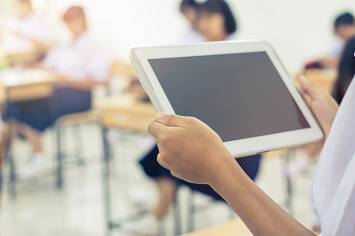 SHOULD LAPTOPS AND IPADS BE USED FOR EXAMS? Typically, exams come under two categories; written and practical. Practical exams can vary depending on the subject, but written exams are fairly straightforward. In written exams, you get a paper, a pen, and occasionally you might get a calculator or a text book. But, what if I was to tell you that instead of having all these things in your exam, all you needed was a laptop or tablet. This probably doesn't sound realistic, however, the world renowned, Cambridge University have recently piloted exams based on typing rather than handwriting. It may seem a bold move by Cambridge but just think about how technology has changed our lifestyles. Hearing about how teenagers are always on their phones and laptops can get tiresome, but we don't write by hand as much as we used to. This is especially true once you start working. Taking all that into account, this may not be such a bold move by Cambridge but instead they are simply adjusting to the times. Cambridge argues that technology has deteriorated the art of handwriting. They go further to claim that handwriting issues amongst their students is so bad that it is costing them marks due to it be illegibility. Based on that, it is reasonable to some to respond in the way that they have, however, the proposed method they have chosen still raises many questions. Questions in regards to the procedures involved in digitising exams need to be addressed. For example, who will supply the laptops? 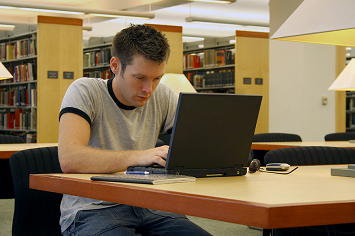 If students can use their own laptops, how will the university determine what's on the laptop. Surely, using laptops and tablets make it easier to cheat during exams. Another question is in regards to auto-correct. The majority of our laptops and tablets have a spell checker system whereby it can correct misspelled words, should we allow such a system in exams? Some would argue that we are over accommodating students. Commenting on the Cambridge news, one parent sarcastically said 'Next up: why students with a lower typing speed should be given more time to complete their exams.' Whether we should persevere with written exams or move on to digital is debatble and one that wont be immediate, however, it is something that should be considered. The education system is an old institution that's usually slower than the rest of society to respond to changes. However, Cambridge University being as influential as it is, may be able to set a trend towards digitising exams. If the tests being conducted by Cambridge prove to be a success, it's interesting to see what impact it will have not just in the UK but worldwide. Cambridge is an influential institution, so they could be setting a blueprint for the future. Technological advancement has been moving at extraordinary speeds over the last couple of decades. New industries have emerged and existing ones are changing. In the travel industry, it was seen as a backward step in technology when the ever-speedy Concorde retired and came out of service. 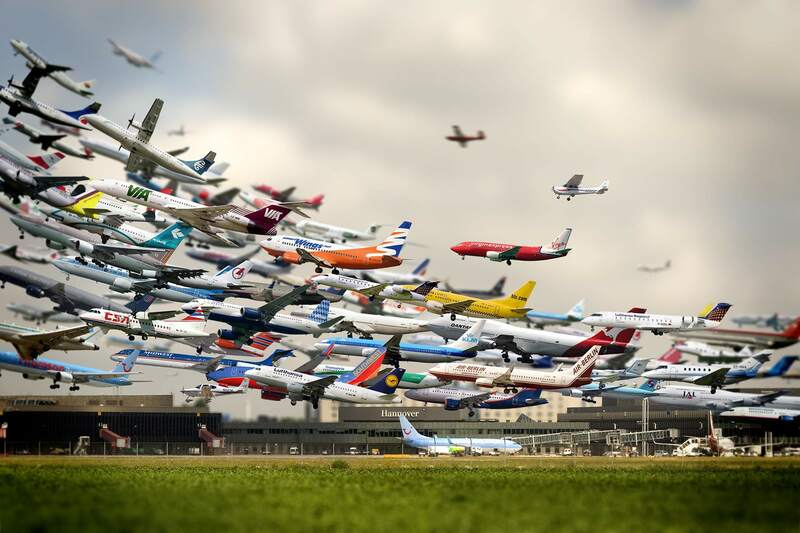 However, the industry is now back at the forefront of technology and embracing how we book and travel. Below are some of the trends shaping the industry. A Travelbot or Chatbot allows travellers to book their travel through a messaging platform such as Facebook Messenger. You can enter your destination, number of nights and dates and the bot will make recommendations allowing you to continue with the booking. Expedia.com is launching on Skype and allows you to search for hotels, book, manage, cancel and confirm reservations. If you have a question the bot can’t answer then you can call Expedia directly free of charge. The bots are powered by Artificial Intelligence (AI) and conversational computing. It allows Travel Agents and Travel Management Companies to engage with the customer earlier on in the booking process. The new generation who have been raised with iPhones and Androids are comfortable not engaging with a person and require simple and intelligent software to allow them to go with a self-service option and book all aspects of their travels independently. VR has already been introduced by airlines to show the various cabins on offer and upgrade passengers into Premium, Business and First class. Qatar, who have just introduced the world’s first double bed use VR to allow passengers to experience the space and new product. Hotels can also use VR to give a full 360-degree immersive experience into the hotel and its rooms. 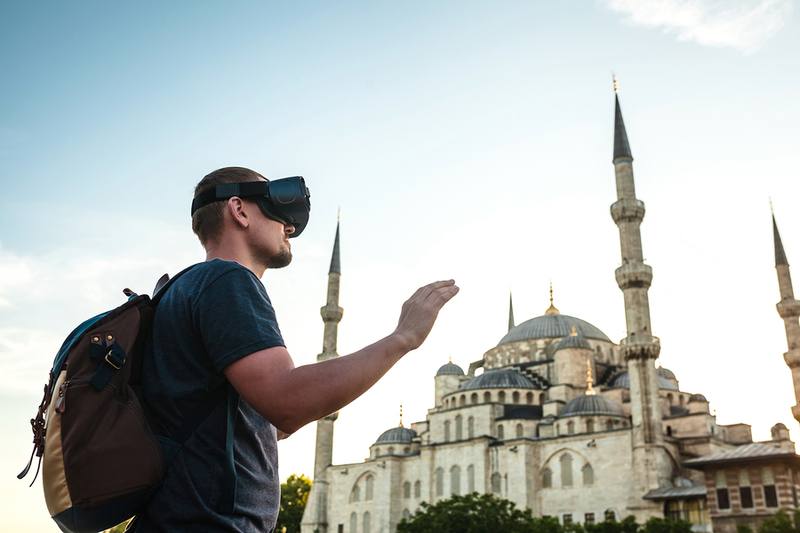 Cruise companies are using VR and AR to sell the variety of ships and cruises on offer, allowing customers to again experience what it would be like to be on the actual ship. A report by Phocuswright suggests that millennials travel more than any other group of travellers. We have already seen how speech recognition in the form of Amazon’s Alexa allows users to access information with ease. The future of VI in the travel industry will allow travellers to seamlessly make requests and bookings through voice recognition whilst also recognising your personal preferences and making suggestions appropriate to your needs. The introduction of the smartwatch allowed customers to board planes and unlock hotel rooms. This area will continue to grow and provide a more personalised service. In November this year Carnival Cruises will launch a Medallion Class on Princess Cruise Lines which will allow the customer (whilst wearing the medallion) to enable keyless access room entry, personalised concierge service and wallet free payments as well as acting as a social tool to let customers connect after their trip. Bridging the gap between the working world and the education system can be a difficult task, especially for someone who only has a vague idea of what they want to do. Apprenticeships act as a way to give individuals a taste of what the industry has to offer, however, sometimes we can bite off more than we can chew (sorry about the pun, I couldn’t resist). Still, apprenticeships can be a gift, in that they can give those who partake, a taste of the industry, but a curse, in that they can give those who partake, a taste of the industry. This is especially true for prospective chefs, who typically have a high drop-off rate. Read on, as I explain. 'When many apprentices enter the industry, their perception of the job often doesn't match the reality', says chef Frank Camorra, who mentors apprentices at a kitchen in Australia. It is said that perspective chefs only see the glitz and the glam of the industry and only look up to the celebrity chefs of the cooking world. For these individuals, an apprenticeship in a kitchen can be a real shock. The hard work and long hours differ from the fame and riches that are often presented to us on TV and magazines. Like any job, the starting point is usually the most daunting. You have to prove yourself and show that you have what it takes. 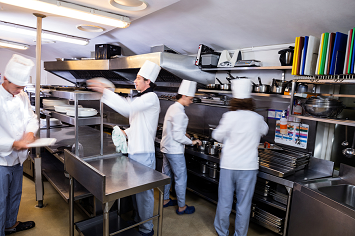 However, unlike other jobs, culinary apprentices typically have a higher drop-off rate. For one, this could be due to a false perception of the industry, the long hours or how immersive the job can be. However, chef Frank Camorra says that there is hope. 'In my experience, if an apprentice chef can last three to six months, they are likely to stay in the industry for the long-term', says chef Frank. Picking the right apprenticeship is important. Knowing what expect from the apprenticeship is essential, washing the dishes the whole time is not going to be beneficial overall, though it can build character if it is integrated within your tasks. Finding an apprenticeship that can give you the mentality to survive in the industry and provide you with the right skill set can make the difference. Perception may not always be reality and not everything in life can be mapped out perfectly. However, apprenticeships are what you make of them, just like jobs, you have bad ones and good ones. If it is your passion, stick to it. Measuring success can be difficult because success is relative; take the tourism industry for example, every year, lists titled 'top tourist destinations' or the 'most successful tourist destination' are printed. These lists are typically ranked based on the number of tourists who visit or the amount of revenue that the destination generates. However, it is important to understand that measuring success in the tourism industry in that way can be misleading. In 2017, Spain remains one of the most popular tourist destinations, and therefore one of the most visited. Therefore, you would assume that this would mean, in general as a tourist destination, Spain is fairly successful, right? Tourism in Spain, in recent years has reacted a boiling point; disputes between locals and tourists are on the rise; Spanish travel companies have claimed Spain is too full; and recently, Barcelona are aiming to limit the construction of hotels and stop licenses being issued to new accommodation rentals. Measuring success by number of visitors that the tourist destination generates is problematic, not just because of the example given upon. Visitors might include passing visitors who spend very little at the destination. Measuring success by the revenue generated by the destination doesn't show how much is going back into the economy. Using both of these measurements together still doesn't take into account the local people, who also have a say in the success of the destination. So how exactly can you measure the success of a tourism destination? The best way to measure success of a tourism destination is by measuring how sustainable it is. Measuring the sustainability of a tourism takes into account a larger number of factors. To be successful you need a good ecosystem for the tourism to thrive. This includes, a clean environment, great presentation, entertaining attractions, a welcoming local community and so on. If a destination is sustainable then everything that contributes to it's success needs to be sustained and maintained, if not, how can it be successful. Tourist destinations that overindulge in the idea that numbers equal success will find out that without the capacity to deal with those numbers, success will only be on the short-term. Investing and maintaining in all the things that make a tourism destination will ensure long terms success. We recently came across an article discussing some of the challenges, solutions and rewards that come with working in the marketing and PR team at a hotel. The article raised some good points about dealing with challenging situations, therefore, we decided to widen the scope. In this article we'll be looking at 5 different roles in the hospitality industry, identifying the challenges and the solutions that come with the roles. Of course, there's usually more the one solution to a problem, however, take a look at the ones that we've selected below. Challenge: Managing multiple priorities at the same time. The front office is usually the first point of contact for guests and therefore it acts as a representation of the hotel. The front of house staff have to manage and coordinate with different parts of the hotel, so prioritising tasks are important. Solution: This is where social skills are key. If you're dealing with more than one customer, you will want to engage with them effectively enough to where they feel they are not being ignored and potentially ask your colleagues for assistance if need be. Challenge: Keeping up with what’s new and interesting in the city. Dealing with guests and making recommendations are part of the role of a concierge. For example, one concierge at a luxury hotel was once requested to help find an elephant for a wedding ceremony. Not every request will be as flamboyant as that one, however, it is important to know what's what. Solution: The more you know, the better you can serve your guests. Make sure you're familiar with the popular attractions in the city, but don't stop there, familiarise yourself with some of the lesser known but enjoyable activities so you can offer something different. Taking note of any changes to anywhere your recommending is also helpful; how embarrassing would it be to recommend somewhere that had closed down. Handling customers is a part of being a waiter/waitress, you're the person they vent to if something is not to their liking, so turning a bad siutation around is important for waitstaff. Solution: Be open and engaging with your guests complaints, they are paying money and therefore expect a certain quality. Though the quality of the food may not be down to you to be ready to offer your customers something extra. In fact, read Yummy Love Journey's previous featured article on customer service. Due to the influence of social media on the hospitality industry, hotel marketing and PR teams are expected to be able to engage with customers via these platforms. Customers expect quick responses and good service. Solution: It's important to understand your companies policies and practices to be able to respond to customer complaints and queries efficiently. Usually, the marketing a PR staff are given a certain amount of discretion, so based your responses on what the company practices will allow. Solution: Every manager has there own techniques to managing their team but it can be even harder in a hotel where staff regularly have to do overtime. By finding a way to keep staff members happy through benefits, rewards and activities can go a long way in maintaining team cohesion. CTH is delighted to announce that CTH hospitality graduates can now qualify for direct entry into a range of programmes at the renowned Swiss Education Group. Swiss Education Group is the largest private hospitality educator in Switzerland. With 4 hospitality management schools and an entrepreneurial culinary school, it offers a fabulous range of options for study in amazing settings Each school offers a variety of specialisations, from Event Management to Design to Finance. Based across 7 campuses throu ghout French and German-speaking Switzerland, both Bachelor and Master programmes are available. Culinary Arts Academy Switzerland also offers an Advanced Professional Diploma in Swiss Pastry and Chocolate Arts for enterprising bakers looking to launch their new career! 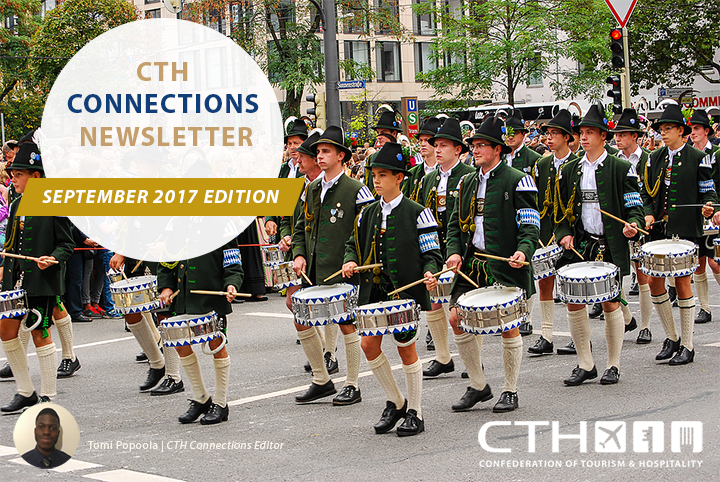 Swiss Education has just become the latest new CTH Approved Teaching Centre in Switzerland and will be running officially CTH-endorsed programmes at Master's level from 2018. Thanks to this partnership, students holding CTH Level 3 to Level 7 Diplomas in Hospitality Management can now apply for direct entry to their hospitality management schools, while students holding Level 3 to Level 5 Culinary Diplomas can apply to Culinary Arts Academy Switzerland. These are some of the very top hospitality and catering schools in Switzerland and to study at one of their schools would be a superb completion of an industry education! Based on two campuses in Switzerland, discover the perfect blend of entrepreneurship and culinary skills or choose to specialise in Swiss Pastry & Chocolate Arts. 2 campuses, state-of-the-art kitchens, and industry partnerships with Ritz Paris & Ritz Escoffier provide you with the recipe for success. 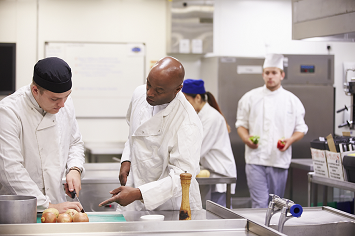 Qualified Level 3 diploma in Professional Cookery graduates can enrol in Term 1 of our Bachelor of Arts degree. Qualified Level 4 Diploma in Professional Culinary Arts graduates can enrol in Term 3 and waive one internship. Qualified Level 5 Advanced Diploma in Culinary and Hospitality graduates can be evaluated on a case-by-case basis. Learn hospitality from the pioneer of luxury hotels with 3 campuses, 2 university partners and 1 business plan competition! Earn your dual Bachelor's awarded by Washington State University or your Master's from University of Derby and enjoy a multi-campus, international education in Switzerland. If you've gained a qualification in Hospitality Management, Level 3 graduates can enrol into Year 1 of the Bachelor of Arts degree. Level 4 and 5 graduates can enrol in Term 2 (Level 4 graduates will require 2 additional courses - Calculus for Hospitality Business and Introduction to Food Chemistry at an extra charge). Launch your top-level career with a blend of traditional Swiss hospitality and contemporary American business studies. With specializations in Finance, Human Resources and Luxury Marketing and Business Management offered in close partnership with industry leaders, including Hublot, Edmond de Rothschild and Four Seasons, tailor your education for career success! Qualified Level 3 Diploma in Tourism and Hospitality graduates can enrol into Term 1 of the BBA in Hospitality Management. Qualified Level 4 Diploma in Hospitality Management graduates can enrol in Term 3 (with two bridging courses - Economics in Term 6 and Resort Management in Term 7 at an extra charge). A unique hospitality management school offering studies in Hotel & Design Management. Their innovative programme combines studies in hospitality management with the principles of hotel design, luxury and branding. 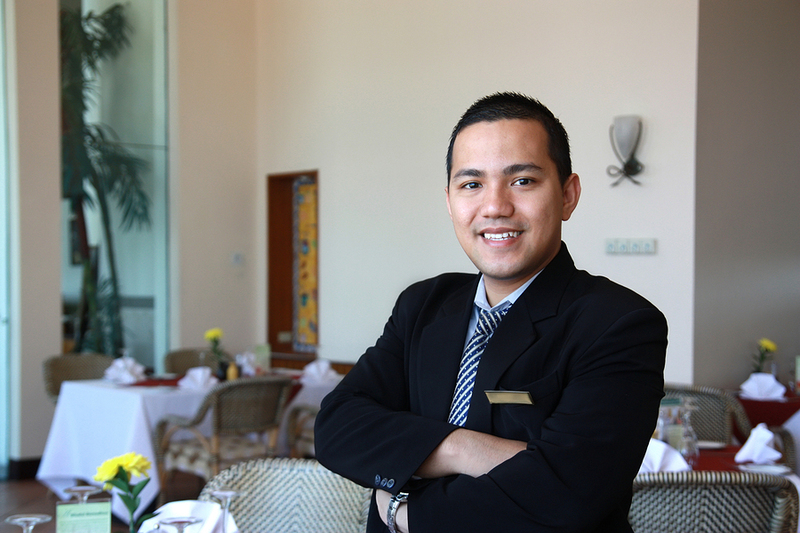 Courses are structured for graduates to succeed in the competitive and rapidly changing world of hospitality management. They accept direct entries from Qualified Level 3 to Level 6 Hospitality graduates at various stages of their Bachelor degree. Students holding a Level 7 Postgraduate diploma in Hospitality and Tourism Management can gain direct access to Year 2 of the Master of International Business in Hotel & Design Management (with 3 bridging courses Fundamentals of Interior Design, Visual Technology and AutoCAD at an extra charge). Housed in former traditional Swiss Palace hotels, Swiss Hotel Management School is focused on "Learning By Doing". Lavish banqueting halls, a grand theatre, fully equipped wet and dry spas and multiple restaurants, combined with courses validated by their UK university partner, enable a fully encompassing hospitality operations education. They accept direct entries from Qualified Level 3 to Level 6 Hospitality graduates at various stages of their Bachelor degree. Students holding a Level 7 Postgraduate diploma in Hospitality and Tourism Management can gain direct access to Year 2 of the Master of International Business in Hotel Management or in Hotel & Resort Management (with Specialisation).